Anatomical fit: The anatomical shape of this carbon fiber insert wrapped in PU foam provides natural arch support and better fit. Close to the ground: A lower-profile platform for better sole contact with ground, important for alpinist safety. 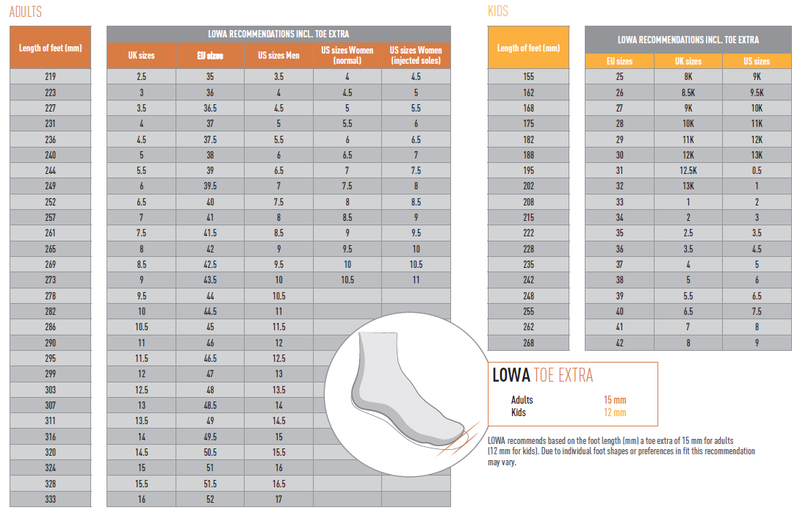 Close to the rock: Flatter toe profile is designed to keep the distance between foot and ground as small as possible, for precise toe-hold. Shock absorber: Integrated heel cushioning in set into the insole, for more comfort and rebound. Slingshot: Adapted from climbing technology, the slingshot heel stems from the experience of perfect heel fit. Above 4,000 metres elevation, the technical demands for alpine mountaineering boots increase. There is no room for compromises here. That is one of the reasons why the LOWA Alpine ICE GTX® was developed together with the professional alpinists on the LOWA PRO team – to ensure even the highest demands are met. 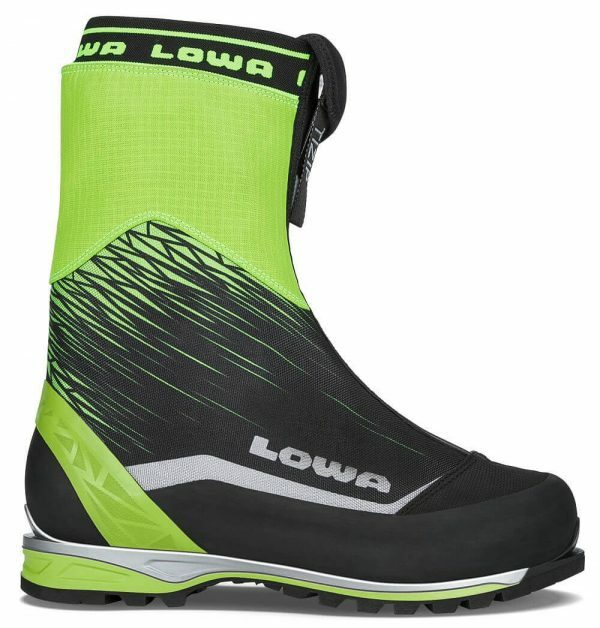 Combined with LOWA’s legendary comfort and support, the optimally insulated and completely crampon-compatible boot is equipped with a gaiter and enables you to conquer without any issues even the most difficult passages over ice and rock. A Waterproof GORE-TEX® membrane ensures your feet are always dry.